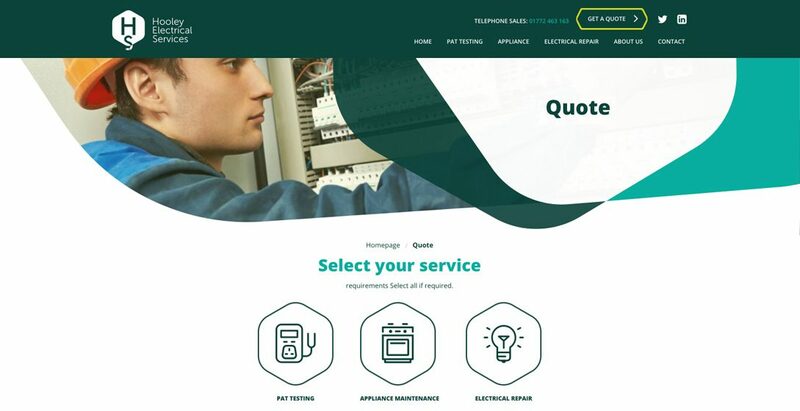 Hooley Electrical provides a one-stop solution for appliance testing and repair, nationwide. 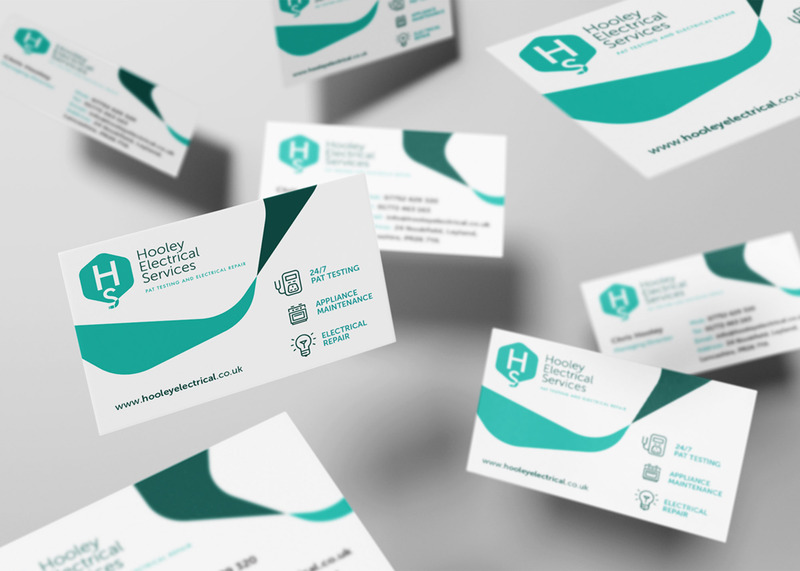 We were tasked with providing the company with a full-service brand and marketing service, from initial logo concept, through to a brand new website, vehicle signage and email marketing campaigns. 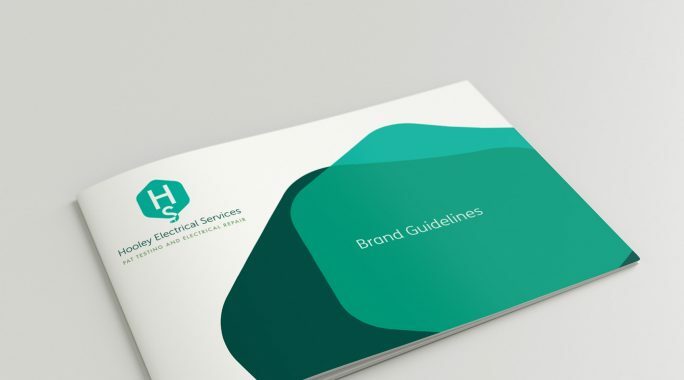 The brand has to identify the three areas of business growth; PAT testing, Appliance Maintenance and Electrical Repair all anchored under a professional look and feel. 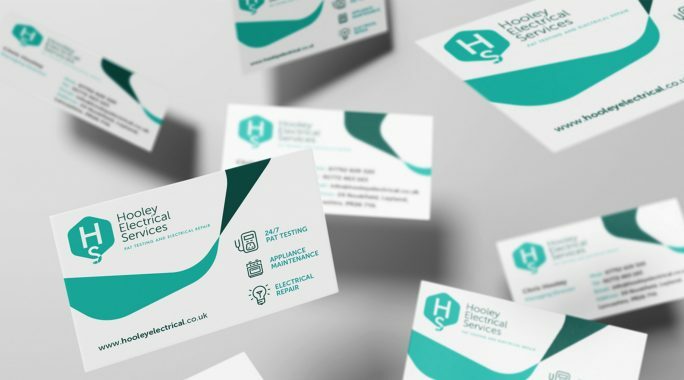 Hooley Electrical recognise that to grow their customer base for larger commercial gain they would have to invest in a focused brand to assist with their business objectives. 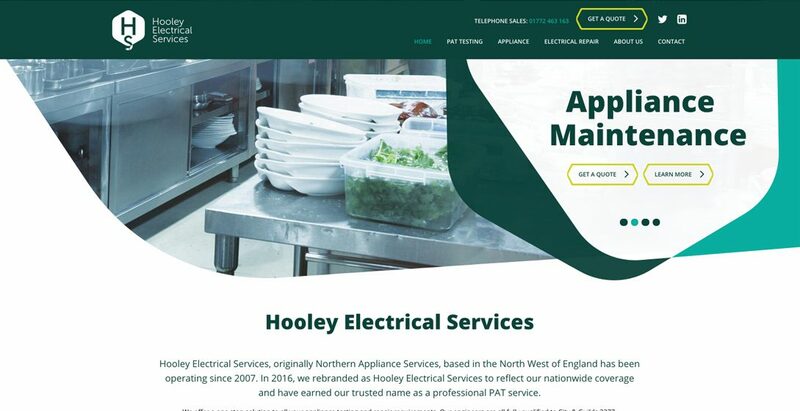 Hooley Electrical required a responsive platform in order to sell services to a wider audience. 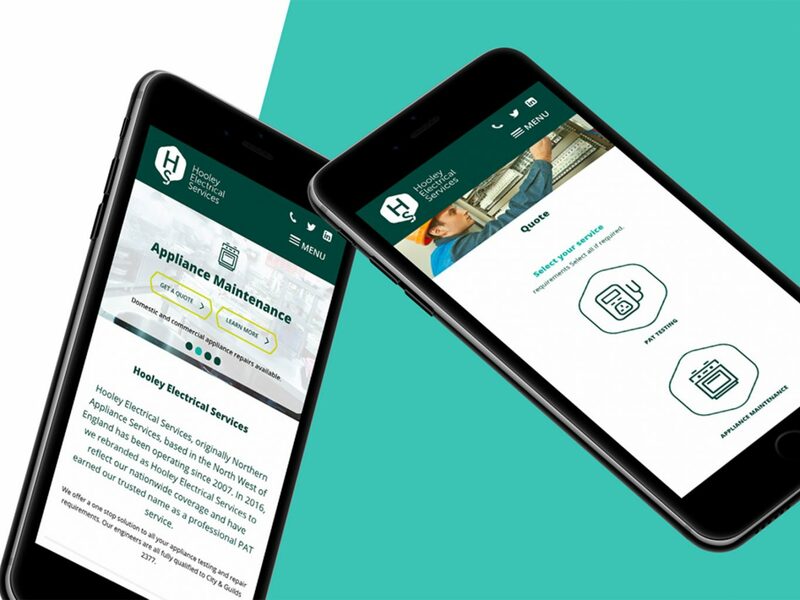 Targeting larger groups required a professional bespoke website, that works on all mobile devices to promote them as a business as well as for their services. 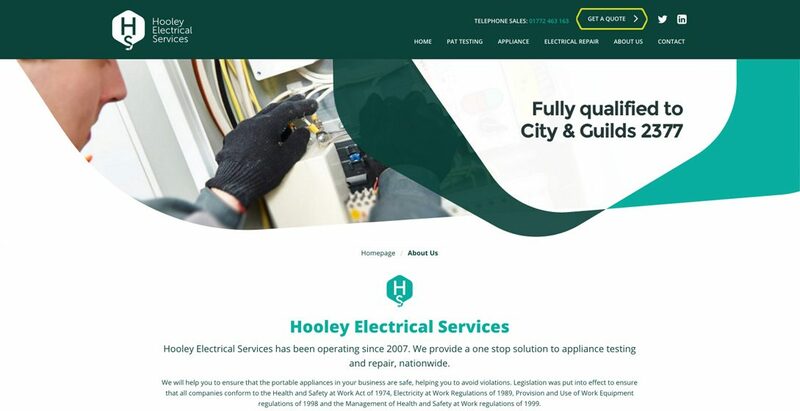 Below is the design for the new website to showcase the services that Hooley Electrical offers. This is a bespoke WordPress website that was built to allow the company to update content and images as and when required. Taking the brand forward, we designed a striking, eye-catching design for the company vehicles, making sure that Hooley Electrical are seen 24/7 on the road. 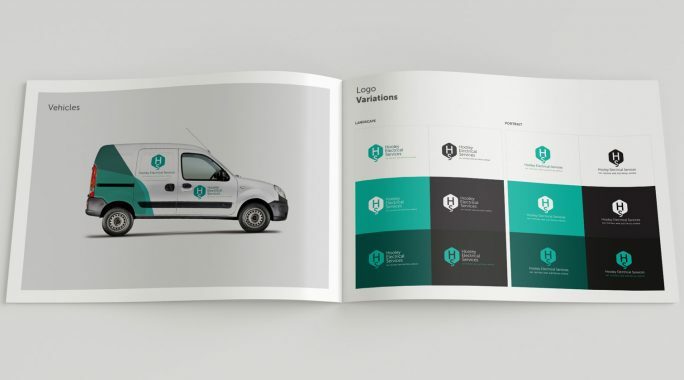 This design was made bespoke to the shape of the van, fitting the contours perfectly and providing a sleek look and feel to heighten brand awareness. 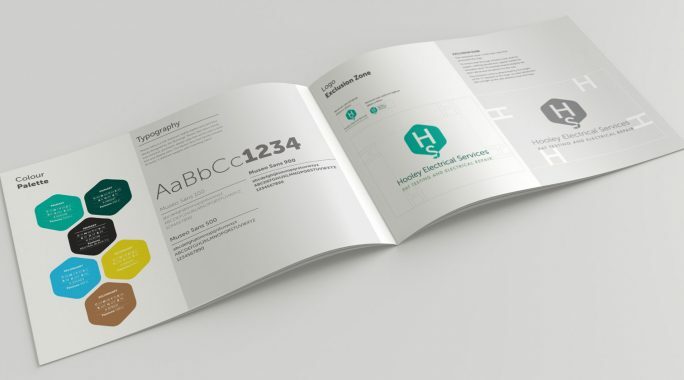 Below are visuals of the brand guidelines and business cards. 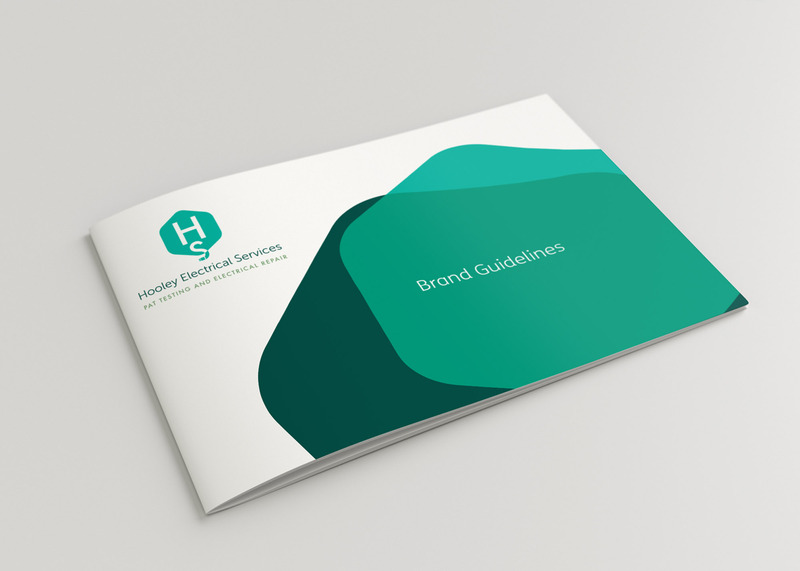 Brand guidelines were created to allow consistency across all future marketing platforms that the company undertakes.